As I write this post on January 22, 2019, I am preparing to travel to my first ALA Midwinter Meeting in Seattle. Attending the Affiliate Assembly will allow me to see firsthand what it’s all about! 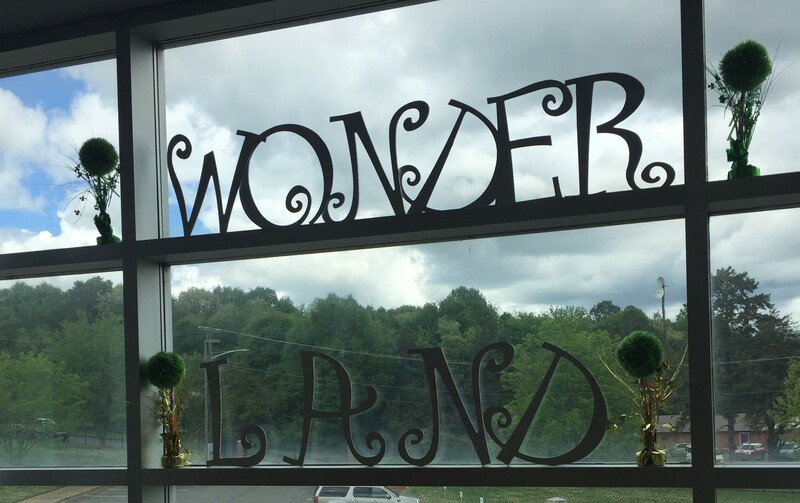 I am looking forward to meeting new colleagues and finding inspiration to bring back to my school, district, and state organization, the North Carolina School Library Media Association. Indeed, a national conference is an amazing opportunity to connect with others and share ideas! 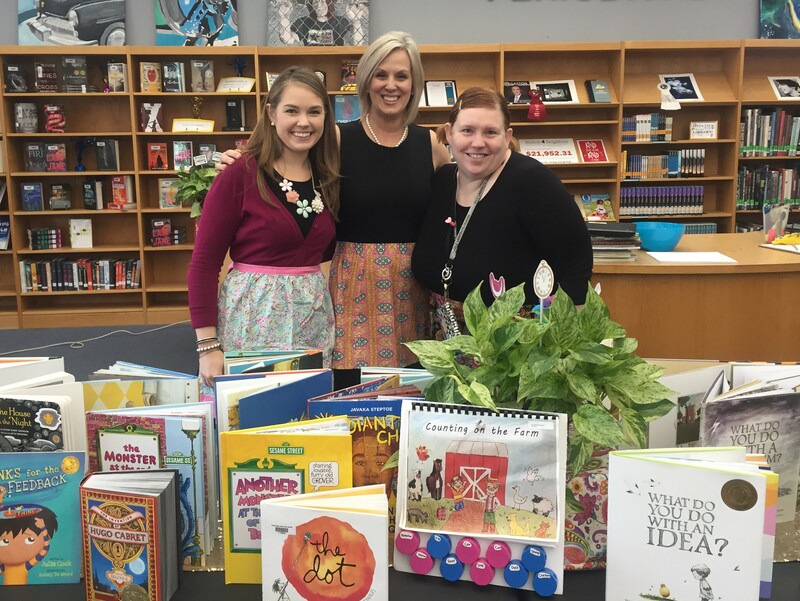 Additionally, the second semester started TODAY at Highland, and I am planning new collaborations with teachers and sprucing up the school library for students. My weeding list is extensive, I am updating the hallway display board, and, fingers crossed, my library reservation calendar is filling up. I love the start to a new year, full of possibilities and opportunities. New semesters are just the same for us secondary folks! Admittedly, I have been a little stumped about what to write about this month. Since my last few posts have been about collaboration with teachers, I thought I would stick with that and share some ideas you can make on your own for your students. To begin with, let’s talk about book tastings! This idea is nothing new. 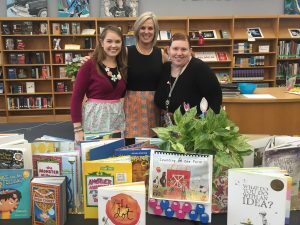 Librarians are experts at book talks and are masters of providing a sampling of great books for our patrons! 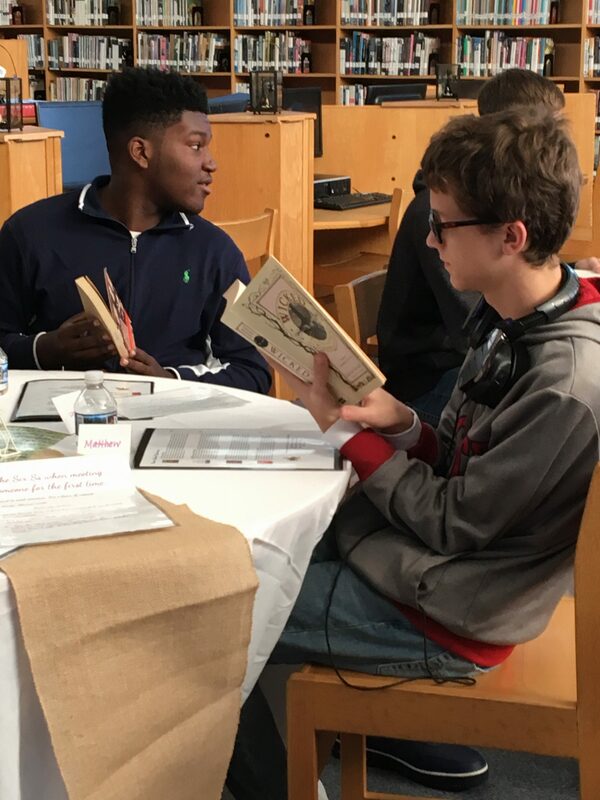 But, a book tasting is a fun, special event for students of all ages. Here at Highland, I have collaborated with teachers (i.e., @jpmundo, @teachermax and @kaleathe615) to create themed book talks for our juniors and seniors. 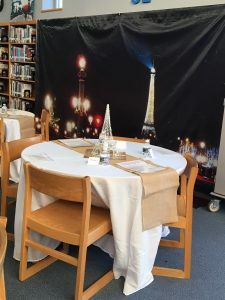 Plan a theme for your book tasting (i.e., Wonderland, a Book Cafe, a Book Buffet, etc.). Borrow props from the prom closet. Pool your resources. Library selections, classroom sets, and/or a combination of both offer a variety of resources that support the curriculum. Feed the students! Light refreshments make it festive. We got donations from local grocery stores to help us. Find a curricular focus. What are the learning goals for the event? 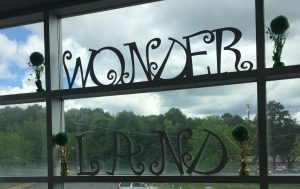 How can you use purposeful instructional technology? Maybe this is a no-tech event. Advertise the event with the students to generate excitement. 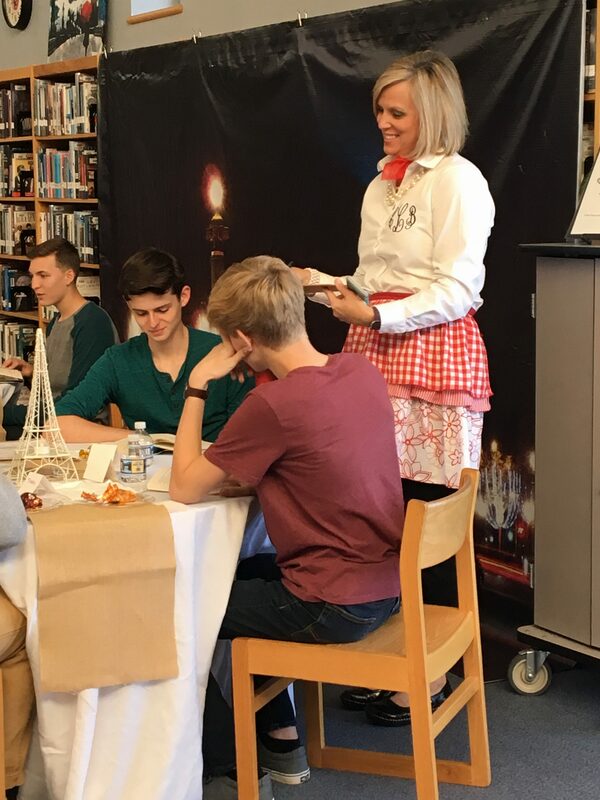 Provide a menu for the students to guide them through the tasting. Take pictures of your event and share on social media platforms. 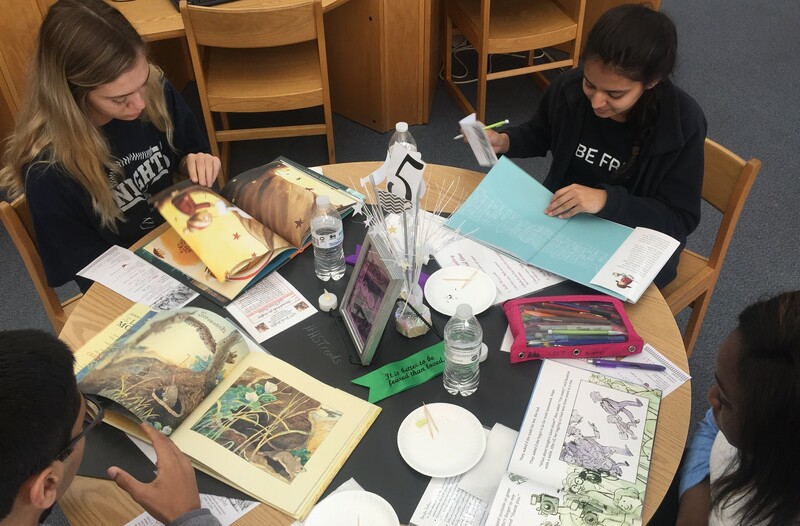 Always share your library’s story! 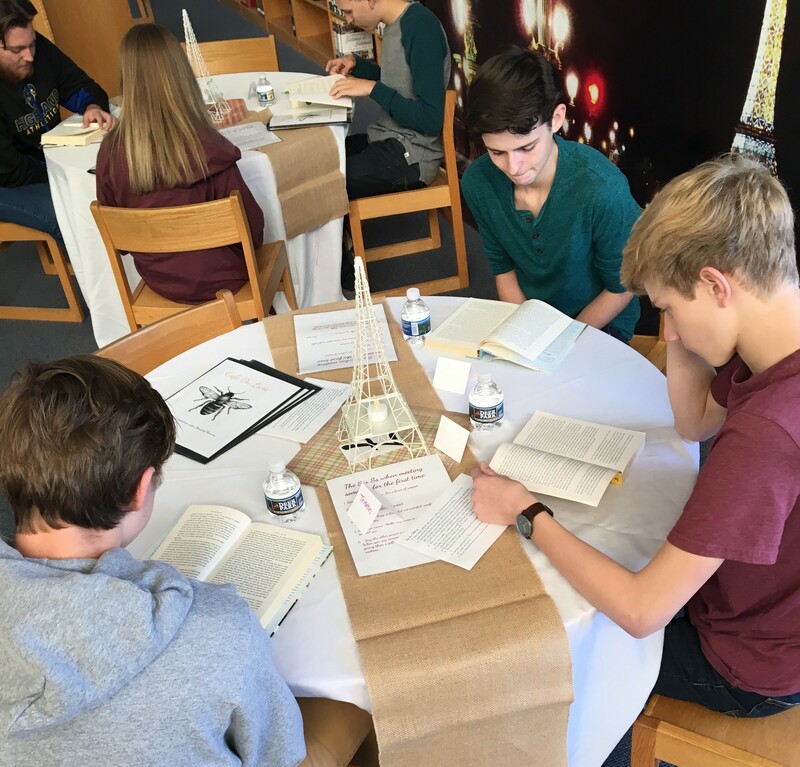 Photos below highlight some recent book tastings in our Highland library. 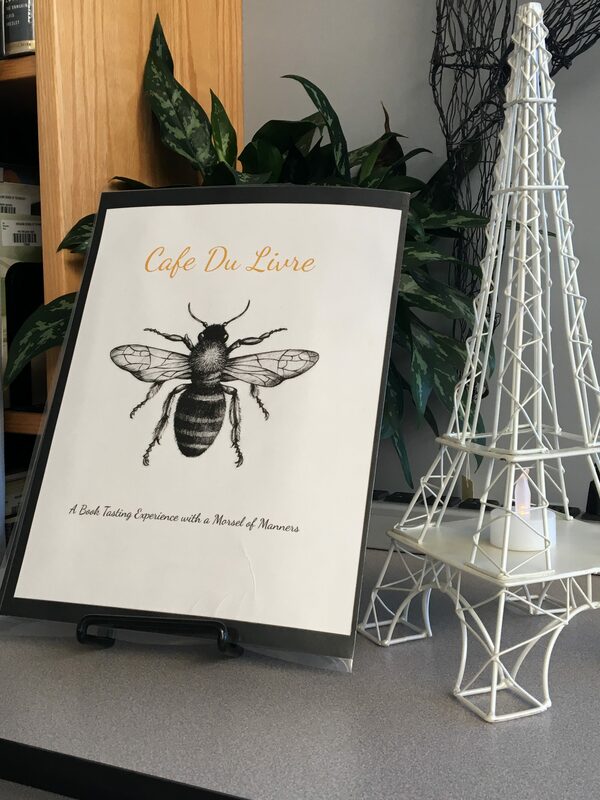 As Parisian music played in the background, the Cafe Du Livre provided students with a menu created around a variety of YA fiction. Students placed an order and had one opportunity to return the book to the kitchen if they were not satisfied and select something else. As students enjoyed the refreshments, they also practiced their manners with an etiquette lesson and conversation tips. The book tasting served as an introduction for an independent book project. 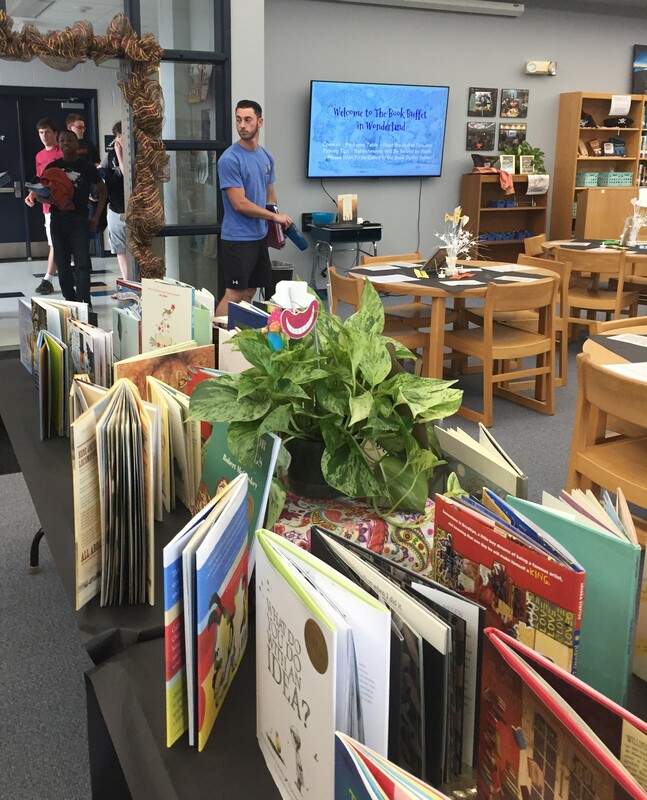 Once finished with their books, the students created video book commercials/book talks for their selections. 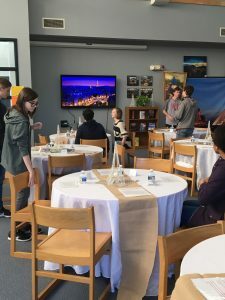 The library blog showcased many of their videos, providing an authentic audience for their work. 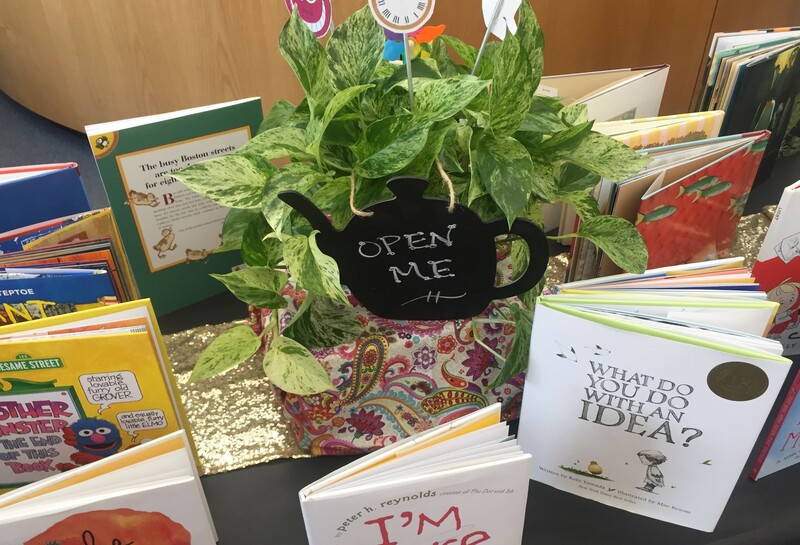 The Wonderland inspired book buffet. In conclusion, I do hope that these ideas are a springboard for more book tastings in many school libraries. Please add a comment or two about book tastings you may have facilitated as well. As always, I love to collaborate and share ideas with you. So, please feel free to contact me if you have any questions or to share your great book tasting ideas.